Since 1930 the FIFA World cup has been help every 4 years hosted by various countries throughout the world. 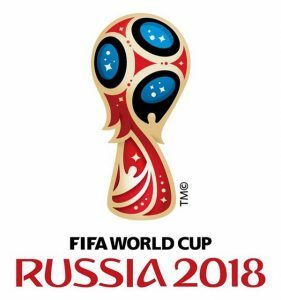 This year the 21st FIFA World Cup will be hosted in Russia to be played at 12 different stadiums across 11 Russian cities, including Moscow, Sochi, and Saint Petersburg. 32 nations will be competing over a total of 64 matches to determine the world champion. Russia is a vast, endless, and timeless country. It spans 11 of the 24 world time zones, and encompassed by the 12 seas of the Atlantic, Pacific, and Arctic Oceans. Russia’s capital city, Moscow, is home to over 130 nationalities and 12.3 million residents, Moscow is served by three international airports and the world’s second busiest underground system. More private jets are chartered for the 2018 FIFA World Cup than ever before. If you fly on a commercial airliner, you run the risk of your flight getting delayed or cancelled altogether due to inclement weather. Bypass the crowds, lines and stress and allow Monarch Air Group to provide a luxury private or corporate charter to FIFA 2018 in Moscow. Game tickets are sure to be sold out well in advance thanks to the historic setting and location. Book your private charter today so you are guaranteed to be there for every thrilling moment. Charter a jet from countless destinations and arrive as close to the 12 stadiums as possible. Fly according to your schedule — we take off when you give the signal. Our dedicated team will choose among thousands of aircraft to select the ideal jet for your trip length, group size, budget and preferences. To enhance your flight experience, choose from among dozens of amenities such as catering and concierge services, digital entertainment systems, flight attendants, massage chairs and more. Your 2018 FIFA Wold Cup trip will begin and end with luxury, comfort, sophistication and class. Our reputation for sterling customer service, safety and reliability has made us the go-to provider for an elite international clientele which includes top government officials, the U.S. Department of Defense, the Canadian DND, the United Nations, various NGOs, Fortune 500 executives and celebrities. We have the experience and in-depth knowledge to provide you with a high-caliber private charter experience, from the moment you book to the moment you land. This June, come snow or shine, the 2018 FIFA World Cup will be an event to remember. Make this one the ultimate experience of a lifetime for you and your entourage. Call Monarch Air Group today for a free quote.